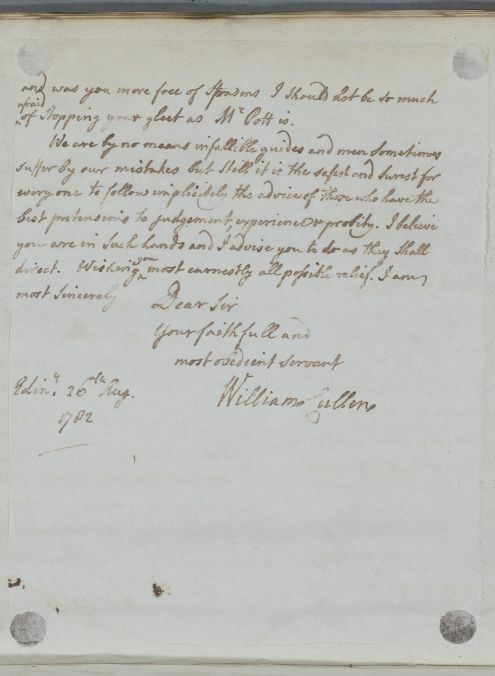 Reply to J. Spens for whom Cullen had recently proposed a course of mercury, discussing and, to some extent disagreeing with the treatments adopted by local surgeons . 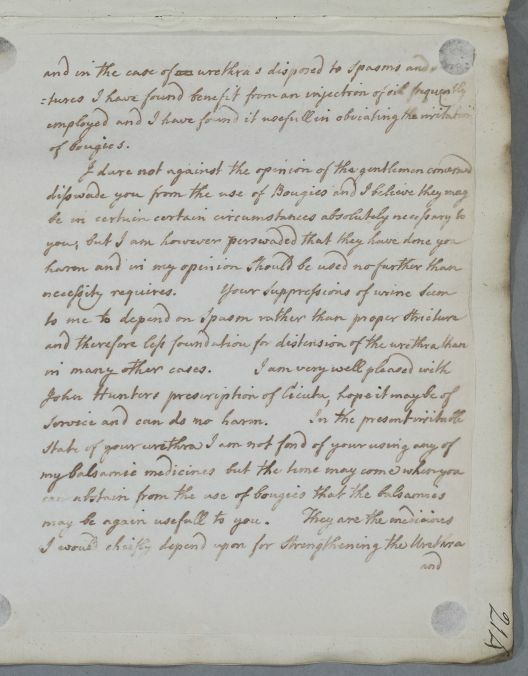 Cullen becomes unusually self-reflective: 'We are by no means infallible guides and men sometimes suffer by our mistakes but still it is the safest and surest for every one to follow implicitly the advice of those who have the best pretensions to judgement, experience and probity'. 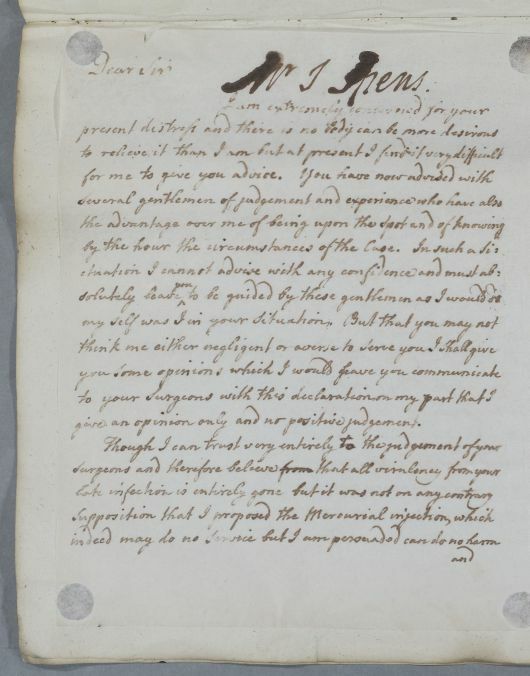 Summary Reply to J. Spens for whom Cullen had recently proposed a course of mercury, discussing and, to some extent disagreeing with the treatments adopted by local surgeons . Cullen becomes unusually self-reflective: 'We are by no means infallible guides and men sometimes suffer by our mistakes but still it is the safest and surest for every one to follow implicitly the advice of those who have the best pretensions to judgement, experience and probity'. give an opinion only and no positive judgement. ↑afraid↑ of stopping your gleet as Mr Pott is.